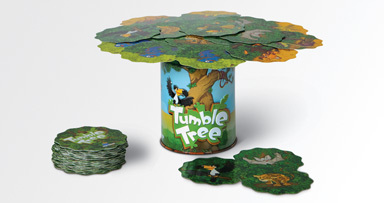 Build your own baobab tree by placing your cards carefully on the trunk. 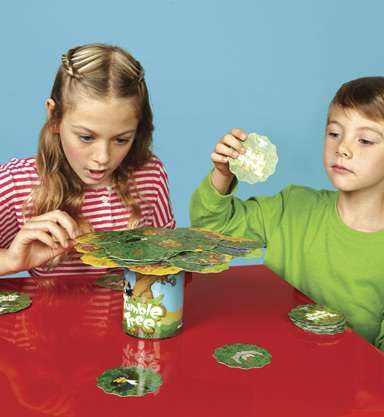 The leopards leap, the bats fly, the snakes slither, and the monkeys swing in this balancing card game. But beware of the stinging bees! Avoid penalties and be the player with the least amount of cards at the end to win. 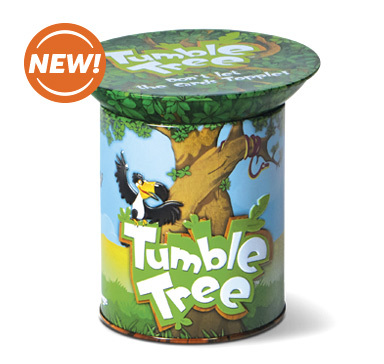 This game is played atop its own tin, making it perfect to take anywhere!